Currently running a company or looking to register? It is important to understand the liability that you hold to individuals and businesses you work with. If you are currently running a registered company or looking to register a company, it is important to understand the liability that you hold to individuals and businesses you contract and work with everyday. If you are a shareholder or a director of a registered company, you have limited liability personally towards the debts incurred by the company. This is because the company is considered its own legal entity, separate to an individual. A sole trader on the other hand has unlimited liability, as an individual, a sole trader will be liable to any debts incurred. LawPath can assist you setting up a company, with a quick, easy and 100% online company registration. The limited liability protection provided by registration is known as a ‘Corporate Veil’ which is rarely pierced. The veil is the recognition of the separation between an individual entity and a company entity. In certain circumstances the court will ‘pierce’ or ‘lift’ the veil, opening up to creditors and third parties the assets of directors and members of the corporate entity. When is the Veil Pierced? There is no specific set of principles given by the courts as to when the veil is pierced. Generally, they can be split into two common categories where it may be possible. It should be noted, besides these two categories, directors may be held liable under directors duties, insolvent trading and corporate crime. When a company is set up with the purpose of taking advantage of the corporate form this may lead to the court lifting the corporate veil. If it is considered a ‘mere cloak or sham’ the court has considered this fraudulent and improper conduct. Usually, this will occur when there is a company set up with the purpose of not giving effect to a transaction or they wish to avoid a legal duty. Often, companies will act as a parent company for others. Where a subsidiary company is acting as an agent for the parent company, the parent company can be liable for any debts and obligations owed by the subsidiary. Where this occurs, the court may lift the corporate veil in order to hold the parent company liable. Courts in Australia are somewhat reluctant to enforce these provisions but it is important to understand your level of liability whilst running a registered company. LawPath can help you register a company through a variety of different packages. If you are a director and want to know more about your legal obligations, LawPath can help you find a business lawyer. Register a company today. Contact a LawPath consultant on 1800 529 728 to learn more about customising legal document, obtaining a fixed-fee quote from our network of 750+ expert lawyers or to get answers to your legal questions. 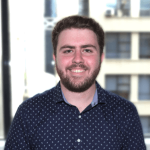 Adam is a Legal Intern at LawPath working with the content team. With an interest in consumer and commercial law he is currently completing a Bachelor of Commerce majoring in International Business as well as a Bachelor of Laws at Macquarie University. If you have registered your company after being a sole trader, then you also need to reissue employment contracts as well. 5 steps to guide you through the ins and outs of how to start a business from home.